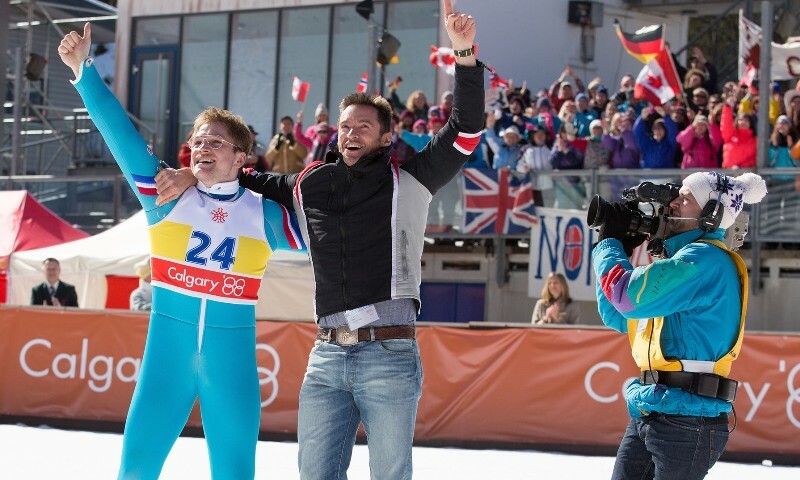 Eddie Edwards (Egerton) has been dreaming of being a British competitor in the Olympics since he was a small boy but one thing has always got in the way. He's not athletically gifted in any way. After trying various sports and always coming up short, the young man had nearly given up until one day he discovered the magic of downhill ski jumping. Giving his Olympic dreams one last chance, he begins to train under the reluctant tutelage of former United States Olympian Bronson Peary (Jackman). 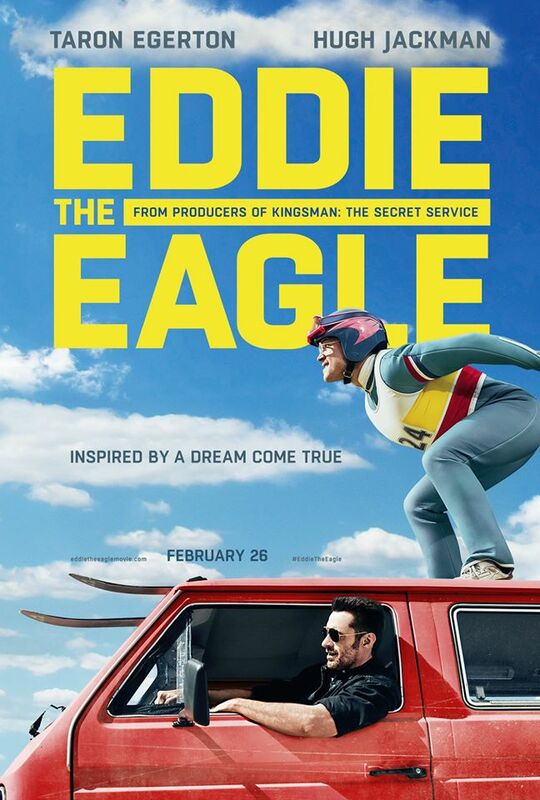 With all the odds stacked against him and no one believing he can do it, Eddie sets out to prove that one man can make a difference by achieving his dream. This story is a fine example of the classic sports underdog and director Dexter Fletcher has hit all the right notes in creating a movie that will leave you inspired and feeling a little better about the world we live in. Fletcher mixes in just enough humor to keep things upbeat and he knows exactly when to pull back and let the drama unfold for maximum effect. I was very impressed with how this film turned out, especially since we've seen so many of these types of stories in the past, just nothing quite like this one. 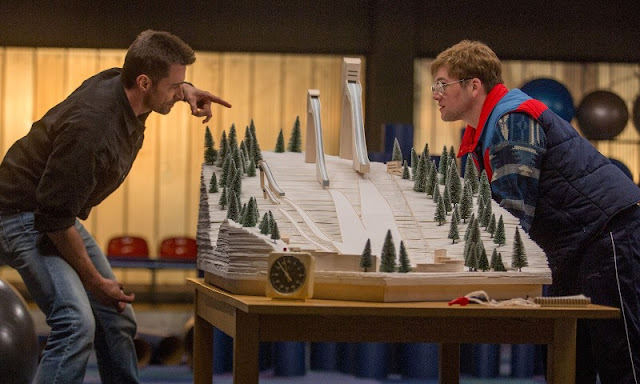 The topic of downhill ski jumping is a bit off the beaten path, but it's really Eddie, played perfectly by Taron Egerton, and his will to succeed that drives the story forward. If you don't know who Taron Egerton is, you soon will. Over the next few years, he is going to become a major star in the film industry. 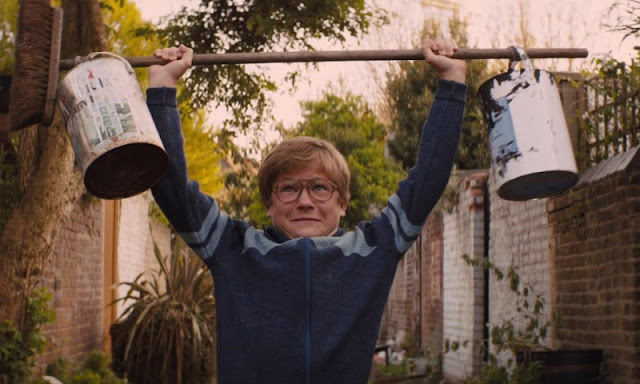 After making a big splash in Matthew Vaughn's Kingsman: The Secret Service, Egerton took a bit of a left turn taking on this picture as it shows a completely different side to his abilities as an actor. Where his character in Kingsman was a young, good looking lad filled with Bond-like swagger, Eddie Edwards is about as far from that as you could possibly get. What's important though is that he is very true to who Eddie is as a person and I believe he could not have done a better job bringing his unique personality to the screen. Oh, and Hugh Jackman is in the movie, too and does a fine job of playing the fallen hero who looks to redeem himself. 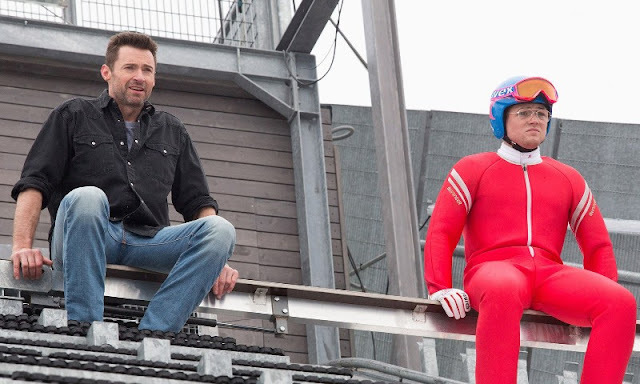 Eddie the Eagle is a very enjoyable and satisfying film to watch. You don't have to be a sports fan to like this story as it's all about heart, determination, and courage which are universal traits that we all aspire to have. 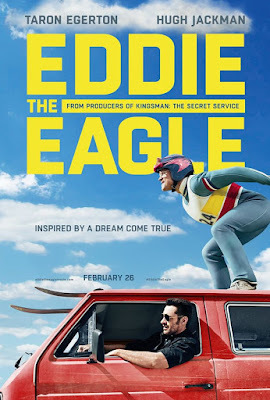 The world would be a better place if there were more Eddie the Eagles in it but, for now, we at least get to learn about the one that does exist. This is definitely a movie that anyone can and should watch so, for those of you with families, don't be afraid to round up the kids for this one.